The Short Version: At the Los Angeles Zoo, lazy lions, creepy critters, huge hippos, and other awe-inspiring animals lay in wait around every corner. You can visit the zoo any day of the week and explore its 133 acres of gardens, rain forests, and savannas with someone special. Now celebrating its 50th anniversary, the LA Zoo remains committed to educating guests about wildlife and preserving endangered species for future generations. In total, the zoo houses over 250 species of animals, 29 of which are on the endangered species list. Daters can meet these creatures at special events such as music concerts, light shows, and animal feedings. The LA Zoo showcases animals of all sizes — from tree frogs to giraffes — to spark the curiosity of millions of visitors every year. In 2015, Danny took his girlfriend Elizabeth and their daughter Sophia to the LA Zoo for a day of fun. As they were touring the many enclosures, Danny suggested they pose for a drawing with a caricature artist. What Elizabeth didn’t know was this had all been pre-arranged by her long-time boyfriend. Danny popped the question to Elizabeth at the LA Zoo using a caricature drawing. 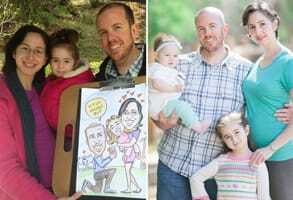 Two years later, the married couple added another daughter to their young family and continue visiting the LA Zoo to share special memories in a lively setting. Since 1966, the LA Zoo has invited visitors to appreciate the beauty of reptiles, mammals, birds, fish, and other animals in an array of rich habitats. If you’re on the prowl for a fun and engaging date destination, come to the LA Zoo to explore hundreds of animal enclosures and attend dynamic educational events. 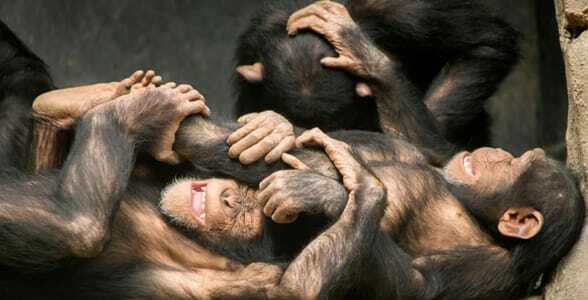 Couples can’t help but smile and laugh as they watch the zoo’s animals monkeying around. From the plains of Australia to the rainforests of South America, the LA Zoo transports visitors to natural wonders from the world over. The zoo is home to more than 250 species of animals and 800 plant species, which are carefully looked after by expert zookeepers. These animal lovers work hard to preserve and protect endangered species, such as the beautiful Sumatran tiger, for future generations. At the LA Zoo, you can look a tiger in the eye or watch a sloth hang out in a tree. You can come here to see over 6,500 reptiles, 5,400 mammals, 10,000 birds, and 7,400 individual plants. The zoo’s animals are a colorful representation of the biodiversity of Earth and give visitors a glimpse into the natural wonders of the world. Surrounded by the wild gardens of Griffith Park, daters find great photo opportunities among all the greenery. 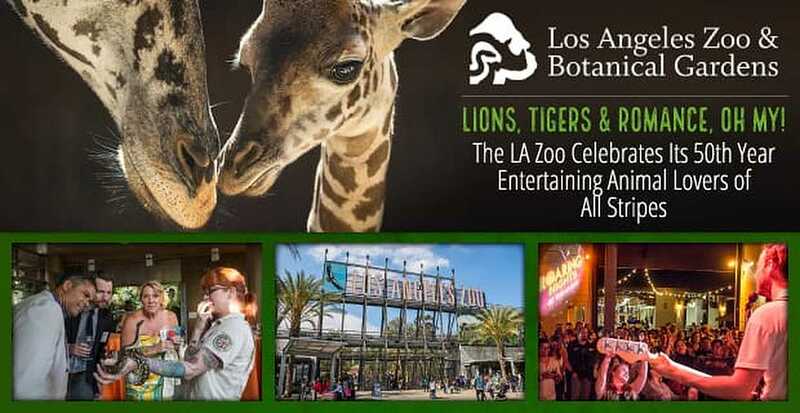 You can become a member to receive free admission to the LA Zoo and discounted admission to more than 170 zoos and aquariums across the country. 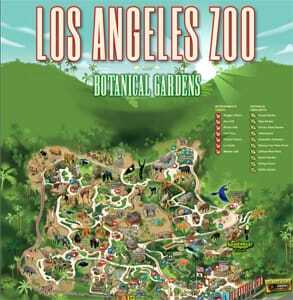 Other member benefits include free docent-led member tours and discounts on events and classes at the LA Zoo. From playful otters to majestic elephants, the LA Zoo houses a variety of impressive creatures. At the LA Zoo, you can take your date on a memorable trip to feed the giraffes, pet newborn goats at the Winnick Family Children’s Zoo, ride on a hand-carved wooden carousel, or simply wander the 133 acres looking at botanical gardens, palm groves, desert plains, and other eye-catching environments. If you and your date love to learn new things, you can go on a guided walking tour or download an audio tour to an iPod or MP3 player. The LA Zoo hosts zoo yoga before the park opens and a World of Birds Show in the afternoon. You can take your pick from among many engaging shows. Maybe your date would enjoy watching a chimpanzee, giant river otter, or red-bellied piranha chow down in a feeding demonstration. The zoo has plenty of attractions to entertain and inform visitors. Roaring Nights invites people to the LA Zoo for a wild time. During the summer, the zoo plans special music events along a fun theme, like country, safari, or the ‘80s, and attendees dress up in cowboy hats, cut-off jeans, and other wacky outfits to have a good time. Couples dance the night away to the music of a live band or DJ while food trucks and full-service bars wait to satisfy any late-night cravings at this popular event. The LA Zoo’s summer music series also features keeper talks as well as animal encounters during the evening. Some Roaring Nights are geared toward visitors 18 and older, and others are family-friendly. Nocturnal daters enjoy seeing the zoo at night and getting an up-close look at one of their interesting critters. During the holiday season, the LA Zoo creates a magical atmosphere for couples and families. 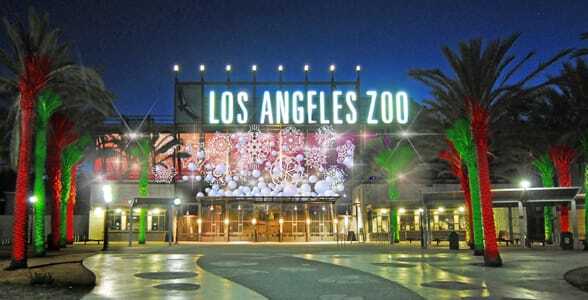 LA Zoo Lights is a nighttime event that lights up the zoo with glittering forests, glowing snowflakes, and illuminated animal decorations hanging all around the zoo. Guests can also stop by the Reindeer Romp Village to see Santa’s sled team during this rain-or-shine event. 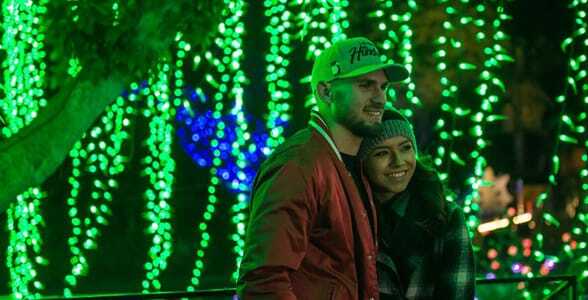 On cool winter weekends, the LA Zoo Lights events delights many couples with a fun light show. Emily told us the Twinkle Tunnel is a favorite spot for couples to linger in and capture a cute photo — some even propose under the glimmering glow of the lights! 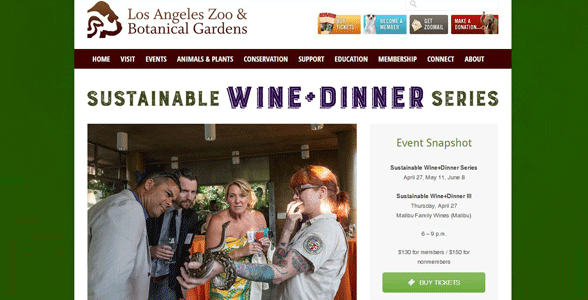 Daters who enjoy gourmet food and wine pairings would be best served by joining the LA Zoo’s Sustainable Wine Dinner Series. It’s a perfect outing for an anniversary or special celebration. Dinner guests enjoy an elevated experience at the zoo with a custom five-course meal coupled with an expert presentation from one of the zoo’s curators or keepers. Plus, you’ll be joined at dinner by one of the LA Zoo’s scaly, feathery, or furry residents. The LA Zoo hosts farm-to-table dinners featuring gourmet food and up-close animal encounters. These events offer an upscale treat for daters and promote sustainable agriculture by partnering with eco-friendly wineries and farms. The LA Zoo works to preserve the earth’s biodiversity through its breeding programs, which endeavor to save dozens of endangered species, but the space also raises environmental awareness in people of all ages. The zoo’s knowledgeable staff shares information about animals so visitors appreciate the importance of looking out for the welfare of animals in the zoo and in the wild. If you want to make your date truly unforgettable, you can take a trip to the LA Zoo to watch an orangutan at play, feed a baby giraffe, pet an Angolan python, and learn about hundreds of animal species from around the world. Now in its 50th year, the zoo continually improves and expands its services to safeguard more animals, welcome more guests, and host more events. Currently, the staff is making plans to build a zoo without borders so visitors can enjoy a more immersive experience at the LA Zoo. Whether you’re looking for a low-key first date or a special place to pop the question, the LA Zoo offers daters the opportunity to make a lasting memory in a stunning environment. The LA Zoo is a lively place to take any date who loves animals and nature. The zoo’s popular events, featuring popular music, fine and wine, or twinkling lights, set the mood for daters to bond. The LA Zoo has a little something for everyone, from family-friendly days to wild partying nights, so daters can choose whatever dynamic experience calls to them.